Get up, get out, and make a difference in your community! 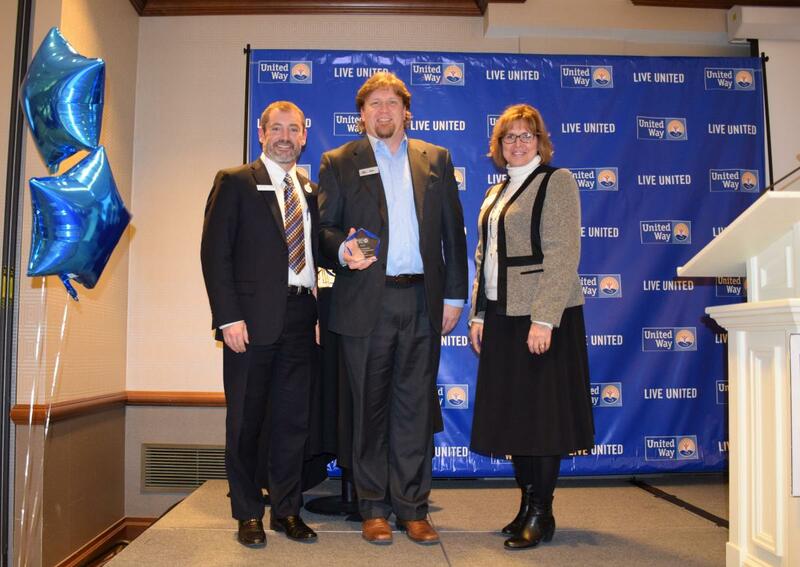 Volunteering is a great way to engage your employees in the work of United Way. Lend a hand to improve lives in the areas of education, income, health or basic needs. 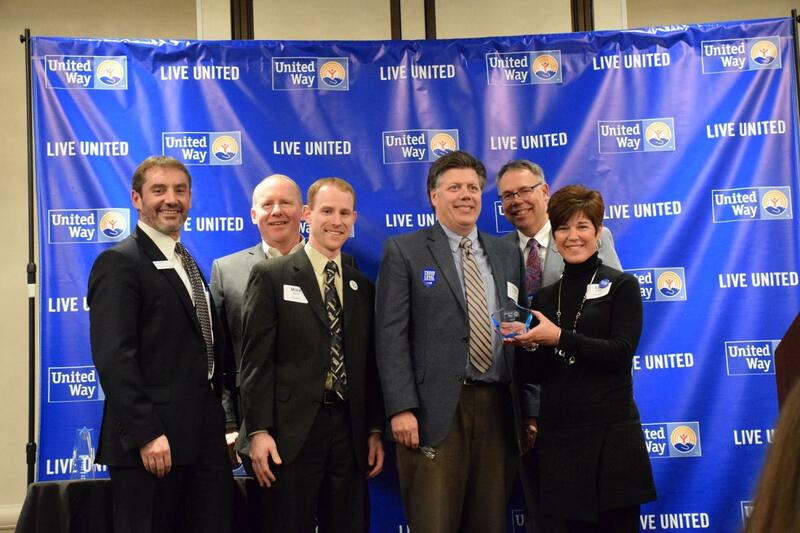 United Way can help you coordinate one-time or ongoing projects throughout the year! Photo on the right is Western Digital Helping with Running Start for School. If you would like help from United Way to set up a Corporate Engagement event for your company - click here. Additional volunteer opportunities for groups or individuals can be found on our website. This award honors a company that has an engaged, year-round volunteer program that improves the communities where it operates. HGA has employees in eight different cities around the county including Rochester. Community Action was a grassroots effort led by a few young employees invested in the social impact of design. And with the enthusiastic support of the firm's leadership, they built a program that upholds HGA's vision and brings employees together to make a measurable impact through design and service for local, national and international organizations. In 2015, the program's inaugural year, 108 HGA employees worked with 10 nonprofit organizations in seven cities, contributing a total of 954 hours. In 2016, the project’s second year, 237 HGA employees from eight offices, representing all departments and levels of experience, stepped up to contribute more than 1800 hours of design, community engagement, and hands-on volunteering. In 2017, during their United Campaign, the Rochester office hosted 3 employee engagement activities onsite which include making 36 cards of encouragement for LINK youth, collected supplies for and assembled 12 personal hygiene bags for Family Promise participants, and hosted a clothing drive for winter-outerwear. First Alliance Credit Union is committed to living out their mission through their new tagline “All for One,” which simply means ALL we do is FOR every ONE of our members. A great example is their leadership in an event called “Plus it Forward,” which has been a success the past two years with full employee participation. In this one-day event, they give their employees the opportunity to volunteer with various local charities and not-for-profit organizations. They even invited Affinity Plus Federal Credit Union employees to join them in this effort. This year 57 individuals came together for one day to volunteer 135 hours in our community. Accepting this award is Mark Hettinger and Kim Ferraro. IBM was awarded the first ever Corporate Engagementy Award in 2015 for going all out to win it! 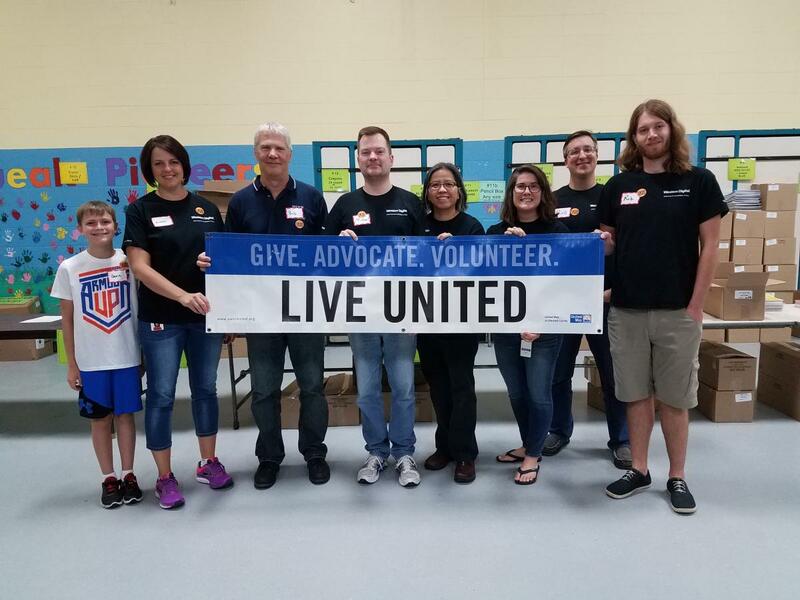 IBM partnered with United Way this year to identify non-profit volunteer assignments for IBM individuals or teams. During their ECCC campaign, over 300 IBM employees helped 14 non-profits around SE Minnesota. For more information, contact Kris Brewer, Operations Specialist at 507-287-2487 or krisb@uwolmsted.org.